The family demanded investigations of the police and gendarmerie officials allegedly responsible for the murder, either directly or by neglecting their duties. In their application, they argued that the European court’s decision canceled the authority of certain domestic laws that had previously blocked the path of putting such officials on trial. Dink, a Turkish citizen of Armenian origin, was murdered in front of the office of the weekly Armenian-Turkish newspaper Agos on Jan. 19, 2007. Confessed killer Ogün Samast was transferred to a juvenile court in October, and his trial separated from the main murder case, due to a legal change he benefited from because he was under the age of 18 on the day of the assassination. Yasin Hayal, who is accused of abetting the murder, and Erhan Tuncel, a former police informant who claims innocence on the grounds that he told security forces everything he knew months before the murder, are still on trial under arrest. The only suspects left after three years of the trial, they will be released next year if they are not convicted by that time under a recent legal change that limits arrest periods without conviction to a maximum of five years. From the beginning, lawyers for the Dink family have stated that the murder was not the work of “three to five nationalist youth,” but even the official inspector’s reports concluded that the National Intelligence Organization, or MİT, should be investigated were not enough to allow the questioning of high-ranking suspects from the police, gendarmerie and the MİT. As they have every year since the first anniversary of Dink's murder, thousands gathered on the street where he was shot to call for the government to hold those responsible to account. For more on Dink and his family's attempts to uncover the details of his assassination, see past posts. For an excellent documentary produced in 2009 on the event surrounding the murder and the subsequent attempts by authorities to cover up their involvement, click here. Thanks to Jenny White and 3quarksdaily.com . . .
For more on Turkey's Pontic Greek population, click here. Interestingly, since the Pontic Greeks converted to Islam, they do not have minority status in Turkey since such standing was based on religion. The KCK trial continued Friday with neither side blinking on the defense in Kurdish issue. The court continued to turn off microphones as defendants attempted to speak in Kurdish, and the defendants refused to acquiesce in their demands. Some of the 151 defendants on trial argue they are better able to defend themselves in their mother tongue, though of course the issue, thanks also to the court's recalcitrance, is also being used as political fodder for Kurdish nationalists. In the end, the court decided to postpone the trial until Tuesday. Meanwhile, protests in Diyarbakir and Istanbul got underway. In Diyarbakir, police blocked access to routes leading to the courtroom in Yenisehir, which lays just outside the city's historic walls that gave refuge to the many Kurds fleeing from the death and destruction that defined the 1990s. In Istanbul, an estimated 200 young people initiated clashes with police following a peaceful demonstration of 2,000 plus people on Istiklal Cadessi. The 200 young are no doubt among the city's thousands of impoverished Kurds that have immigrated into the city, live just off of Istiklal Caddessi, and are easily manipulated by forces who seek violent solution and seek to provoke. According to Milliyet journalist Namik Duran, similar cases have allowed the use of Kurdish. Given the stakes here and the consequences for violence, why be so stubborn? UPDATE I (1/18) -- Still no blinking as the trial continues. BDP leader Selahattin Demirtas announced that 1,000 families have announced their intention to join his party and that some of their children "to the mountain" (a metaphor for joining the PKK) as a result of the Kurdish language defense issue. The Turkish parliament has passed a new law increasing restrictions on alcohol sales and marketing. 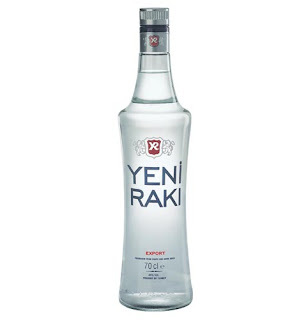 The new law restricts alcohol advertisements at sporting events and youth-centered events (e.g., some concerts), prohibits unauthorized caterers from serving alcohol at special events, imposes a ban on alcohol being used in promotional sales, and raises taxes on raki, an anise-flavored Turkish liquor. The law heightens concerns that the ruling AKP is legislating its moral values. As Jenny White notes, restrictions on alcohol and high taxes are nothing new. Legal restrictions on alcohol again raise the question of just how far the AKP is willing to regulate public morals, though AKP politicians routinely sound the note that regulations are concerned with public health and safety and are not an imposition of its own particular moral view. All the same, AKP politicians routinely make statements that emphasize their majority rather than liberal values. For more on AKP's majority politics, see my take on the party's need to resolve Turkey's 'Madisonian Dilemma' and assuage the fears who are now given evermore reason to think that the party is determined to legislate according to its own particular Islamic bent. Some claim Hizbullah will "redefine itself" and enter a new era following the releases, but others say the possibility that the group returns to violence is now stronger than ever before, given that it has grown into a "mass movement of militants" through traffic on its websites and charity activities of some foundations that are accused of being front organizations for Hizbullah. “The Turkish Hizbullah may even push to obtain seats in the forthcoming elections from independent candidates and may run in provinces such as Batman, Diyarbakır, Van and Mardin,” Faraç said. While pro-Kurdish circles claim Hizbullah was a weapon against the Kurdish political movement, the wider public knew of the organization after mass graves that held dozens of hogtied bodies were discovered in the year 2000. The public relived those days of horror when five Hizbullah members, two of which were allegedly leaders of the organization, were freed last week, as their cases, waiting to be discussed at the high court, did not come to a conclusion in 10 years' time. Hizbullah came to prominence in the late 1980s in southeastern Turkey. Some experts say its aim is to destroy the secular order and spread “true Islam” throughout the country, by force if necessary. However, strong claims have surfaced that it was the state itself that established the organization to fight the outlawed Kurdistan Workers’ Party, or PKK, through illegal means, such as summary executions. Other experts dismiss such claims, but acknowledge that the Turkish state has long failed to appropriately investigate the group. Indeed, many of those killed in the Southeast during the 1990s, usually with meat cleavers or a bullet in the neck, were known to be active pro-Kurdish politicians or journalists. Many members of groups that preceded today's Peace and Democracy Party, or BDP, are believed to have been killed by Hizbullah, though hundreds of such murders still remain unsolved. The organization’s collapse began when Turkish security forces killed one of the group’s leaders, Hüseyin Velioğlu, during an operation in Istanbul in January 2000. Subsequent operations led to the discovery of dozens of mass graves containing the bodies of victims who had been kidnapped, tortured and buried alive. Velioğlu’s death led the group to target Turkish security forces in 2001, a principal motivation behind government crackdowns on the organization in the following years. The organization is also charged with the murders of 188 people, including Islamist feminist writer Konca Kuriş and Diyarbakır Police Chief Gaffar Okkan, who commanded huge respect in the city. Turkish Hezbollah has incredibly murky past, and there is significant evidence that the group was used by deep state elements in the 1990s to counter the influence of the PKK. The PKK and Turkish Hezbollah were in a turf war for much of this period, and the result added to the mass human rights violations and internal displacement with which Turkey is still grappling. Another crime of the group that is not mentioned here is its role in driving many Syriac Orthodox Christians into Syria. Syriac Christians were popular targets of the groups' intense religiosity, many of whom sought refuge in Syria during the unrest and have not returned. For more background on Turkish Hezbollah, which is in no way related to Lebanese Hezbollah, see Gareth Jenkins's analysis from January 2008. UPDATE I (1/10) -- During a press conference on the KCK trial, the Democratic Society Congress (DTK) announced it would welcome Turkish Hezbollah's participation, echoing a similar statement from Ocalan. At the same time, Ocalan warned that Hezbollah members will not be welcome in cities like Diyarbakir if they resort to their old ways. Meanwhile, PKK commander Murat Karayilan accused the Turkish state of attempting to revitalize the group in its fight against the PKK. Leaving Istanbul in August and moving to Washington required a lot of adjustment, and memories of the city still loom clear in my mind. My first venture to Turkey placed me in Izmit as an English teacher, and though Izmit will always be a special place for me, short trips to Istanbul always supplied a boost of energy. I think this is the case for anyone coming from any city, be it in Turkey or elsewhere. 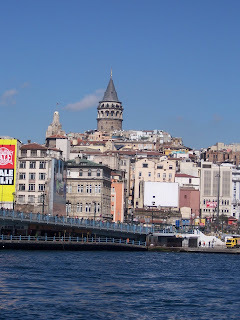 Andrew Finkel captures this energy in a recent piece in The Guardian, in which the Today's Zaman columnist and long-time Istanbul resident writes of the city's transformation over the years. "Istanbul is a country, not a city," says its mayor, Kadir Topbas, and the explanation of its modern boom is buried in the history of the past 30 years. In 1980 Istanbul could not afford the electricity to illuminate that famous skyline. The city, along with the rest of Turkey, was under martial law and there were midnight curfews and even shortages of Turkish coffee. Since then the city has elbowed its way into the global economy. The backstreet clip joints in the European neighbourhood of Beyoglu have turned into boutique hotels, fusion eateries and world music clubs. The smoke-filled coffee houses whose patrons once scrounged for the price of a glass of tea, now serve lattes – and if you try to light up, there is a £30 fine. At the end of the second world war, when the iron curtain came down to isolate Istanbul from the rest of Europe, only a million people lived here. Since then, the city has increased its population by that amount every 10 years. "Today's Istanbul is above all an immigrant city," says Murat Guvenc, city planner and curator of Istanbul 1910-2010, a remarkable exhibition that explains the pace of change. 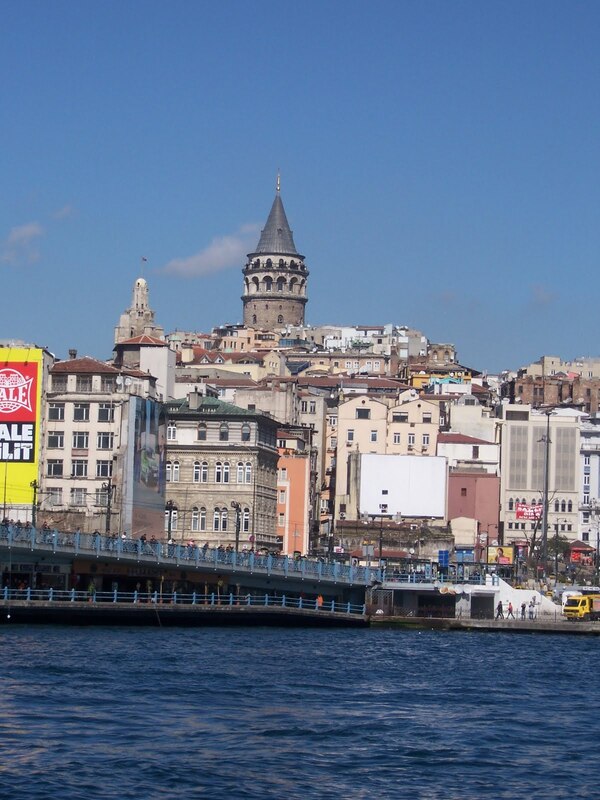 It is housed in santralistanbul – a converted power station more brutally chic than London's Tate Modern. Though Orhan Pamuk writes of its romantic, melancholy feeling in Istanbul, documenting the city's malaise after the collapse of the Ottoman Empire, a recent study of cities around the world conducted by the Brookings Institution recognized it as the "best-performing" city in the world. Though many of its neighborhoods are still plagued by poverty as city authorities struggle to cope with the large numbers of newcomers that have arrived from Anatolia, Istanbul has weathered the financial crisis well in comparison to cities in Western Europe and the United States. President Gul is scheduled to end the year with a trip to Diyarbakir, the de facto capital of Turkey's largely Kurdish southeast. While things have significantly calmed in the region since the PKK's declared ceasefire in August, memories of a particularly violent summer remain vivid, both in the region and the rest of Turkey. peaking at a dinner with local businessmen in Diyarbakır late Thursday, Gül focused on unity, but said diversity should not be perceived as a threat. The president also said there was nothing to be afraid of as long as each citizen saw Turkey as his or her homeland. As I have written here before, the difference between nation and ethnicity here is important to understand. Gul's understanding of "one nation" would be much more palatable to Kurds if it was based on civic identity. However, under the current constitution, all persons who belong in Turkey are a member of the "Turkish nation" and should be "happy to call [themselves] a Turk." Turkish nationalists have long argued that Turkish identity is not based on ethnicity, but on a sense of being wedded to a larger Turkish nation, one defined by "one language," " one flag," and "one people." It is no coincidence that interviews with Kurdish nationalist groups reveal the same sentiment about the Kurdish nation. Resolving the two nationalisms in a common civic identity free of ethnic chauvinism will be the challenge over the years, but so far nothing new from Gul here. 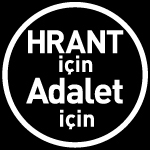 The president did gain the scorn of ultra-nationalist MHP leader Devlet Bahceli for visiting Diyarbakir's multilingual city hall, but scorn from the MHP's variety of ultra-nationalism is also nothing new.